Space is synonymous with possibility and growth. Since the Big Bang 13 billion years ago, the edges of our universe have pushed beyond the known limits and expanded to fill the void. However, you don’t have to go to the edge of the universe to find growth and expansion. Increased access to space in low-Earth orbit is bringing technological advancements, increased investment in innovative approaches to goods and services, and exciting opportunities in space commerce. 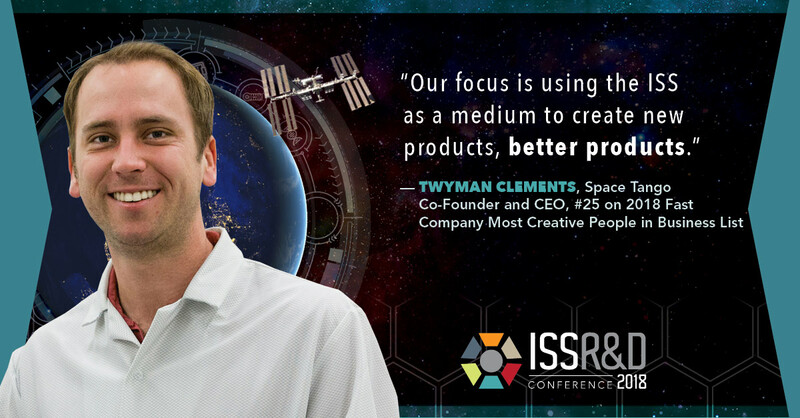 New-to-space companies and investors who have never explored space’s resources are using the ISS National Lab as a platform for innovation, discovery, and commerce. To support this growth, Kentucky-based startup Space Tango is filling new demand for expanding space-based research and development by paradoxically shrinking labs into something small enough to be held in both hands. The space available for R&D on the ISS is significantly more constrained than labs on Earth—access to mass, volume, power, and crew time are precious. 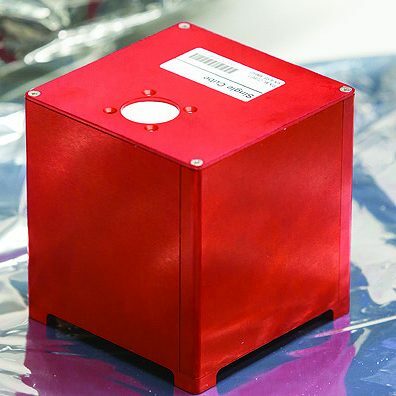 To address this constraint, Space Tango works with researchers to offer the capabilities of a full lab condensed into a 10-cm CubeLab Module. Following in the footsteps of other companies before them, an experiment in one of Space Tango’s CubeLabs can be “plugged into” the ISS and either run automatically until it returns to Earth or be manually controlled from the ground. For Space Tango, microgravity is the next frontier in advancing scientific discovery and expanding the universe of R&D in space. In February 2017, Space Tango’s first customer payloads, including experiments from commercial and educational organizations, were transported to the ISS on SpaceX CRS-10. Because of the successes of these projects, a second facility was launched to the ISS on SpaceX CRS-12 in August, doubling the number of experiments Space Tango can support on a single mission. To date, Space Tango has housed 28 experiments on the ISS National Lab. Space Tango works with academic institutions, commercial for-profit companies, and philanthropic organizations to make research in microgravity accessible and affordable. Because many researchers do not have experience in spaceflight R&D, Space Tango works with customers to modify ground-based experiments to meet the demands of the space environment and make R&D objectives technically feasible. Space Tango’s CubeLabs make experimenting in space more accessible and affordable to customers interested in harnessing the power of space to advance their R&D on Earth. Researchers may be experts in their fields of study, but most are unaccustomed to the different challenges presented by working in microgravity. Procedures as simple as pouring liquids into a beaker must be altered to work on the ISS. Space Tango uses its team’s expertise in spaceflight R&D to adjust experiments to microgravity and fit them within the CubeLab. TangoLab-1 arrived on the ISS in August 2016 and is roughly a half-meter by half-meter (58-cm x 46-cm) platform that houses CubeLabs and provides power and communication links for experiments. TangoLab-1 is a permanent fixture on the ISS, but CubeLabs—and thus experiments—can be swapped out so that experiments can be repeated as is or modified in real time to meet the needs of the investigator. Up to 21 CubeLab experiments can be run simultaneously. Each 10 cm x 10 cm x 10 cm CubeLab makes up a unit—known as a U—and can house a single experiment, whether it’s from the life sciences, material sciences, or another field of study. Alternatively, an experiment can take up 2U, 4U, or even 6U, if needed. CubeLabs also contain the necessary attachments required for experiments, such as LED lights or imaging equipment. Experiments within the CubeLabs are fully automated and designed to require minimal human intervention, which is a plus, as crew time is highly valuable. Real-time or near real-time data can be sent from the CubeLabs to customers on the ground, allowing them to stay up-to-date on their experiment’s progress. Additionally, TangoLab-1 comes with several standard kits, including cell culturing as well as plant and bacterial growth kits. Aside from providing the hardware, Space Tango also guides researchers through the process of designing, integrating, and operating their experiments on the ISS—a multiple-step process. First, Space Tango does a preliminary analysis to better understand the goals and needs of the experiment. In the preliminary design phase, experimental operations are refined and the necessary technology is identified. Designs are then finalized, reviewed, and approved to match research objectives with engineering capabilities. Space Tango then assembles and reviews the payload to ensure it meets both the customer’s needs and NASA’s standards. Finally, the payload is launched and can be returned from the ISS. Space Tango’s journey began in 2005, when Kimel was learning about CubeSats, or satellites similar in size to CubeLabs. After spending several summers at Stanford University learning about the engineering behind CubeSats, he and Clements (a graduate student at that time) saw the potential for CubeSat-like technology on the ISS—an idea that ultimately lead to the creation of Space Tango. Space Tango is a commercial spin-off of Kentucky Space, a nonprofit with a Space Act Agreement with NASA to supply services to the ISS. Because of its relationship to Kentucky Space, Space Tango has access to an existing knowledge base regarding R&D on the ISS, which helped investors see the company’s potential. For Howie Diamond, managing director at California-based investment firm Ranch Ventures, Space Tango was an opportunity to contribute to the innovation happening through commercial research in space. According to Diamond, it was the combination of established know-how and the potential to provide novel insight into persisting questions that led him to invest in Space Tango. Although Space Tango can accommodate research and technology development in many different fields, Clements and Kimel have noticed that biomedical research in space is particularly popular and rapidly expanding. Much of this research aims to understand disease processes that are affected by space, using the microgravity environment of the ISS to better piece together disease pathways and mechanisms. 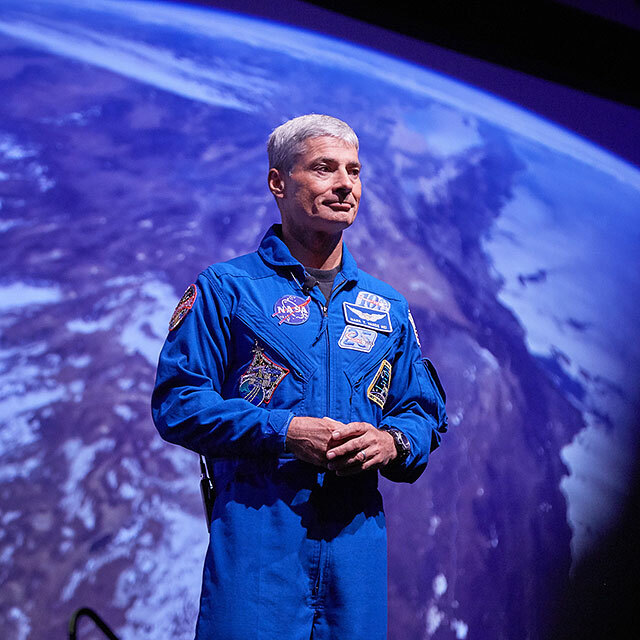 “Our primary focus has evolved to the point where 90 percent of our work is focused on biomedical research—something we call exomedicine, which we define as the research, development, and commercialization of medical solutions in space for applications on Earth,” Kimel said. This concentration on biomedical research led to the development of the nonprofit think tank, the Exomedicine Institute. The purpose of the institute is to consider the “big questions” in biomedical research and how research in space can help tackle them, while leveraging resources from Kentucky Space and Space Tango. The microgravity environment of the ISS helps researchers better understand cell growth, gene expression, immunology, and other facets of biology in response to disease. The Exomedicine Institute has already proposed several potential experiments, including culturing and sequencing human cancer cells and examining genetic variation in microbes such as yeast. Ultimately, the hope is to not only better understand the progression of disease but also develop new therapies and treatments for use on Earth, or perhaps one day even manufacture more effective therapeutic drugs in space. A second TangoLab facility was launched to the ISS in August and has been installed, adding a few new capabilities and taking the number of experiments Space Tango can accommodate at a time from 21 to 42–dramatically expanding the number of customers that can conduct experiments on the ISS National Lab. After their initial success, Space Tango intends to continue pushing the number and types of experiments conducted onboard the ISS. Diamond and his team are also working to support Space Tango in terms of marketing and communications, bringing more potential customers to Space Tango. Many future projects are already in the works for Space Tango, focusing on pharmaceuticals, stem cells, analytical chemistry, and semiconductors, among other things. In addition to furthering research, particularly in biomedicine, Space Tango is also considering the potential of manufacturing in space and bringing finished products back to Earth. Although Space Tango’s projects are highly diverse, there is one commonality among them: helping people on Earth. This investigation seeks to examine how methanogens—methane-producing bacteria that play critical roles in several microbiomes—adapt to microgravity and alter their metabolic activity and growth. Methanogens contribute to microbiome health in the human digestive system, and this experiment may add to researchers’ fundamental knowledge of this important microbe. This experiment is a science, technology, engineering, and mathematics (STEM) education payload that aims to study the mechanism behind involuntary cell contractions of aortic smooth muscle cells, helping researchers better understand and treat atherosclerosis (hardening and narrowing of the arteries). This group of STEM education projects is designed for learners of all ages. There are several types of projects, each of which aims to build core competencies in students by empowering them to design, develop, test, engineer, and operate a payload in space. This investigation aims to establish a baseline genetic guideline for Valerian and Madagascar periwinkle plants, germinate the plants in microgravity, and grow multiple generations to determine if novel genes will be expressed. This study seeks to characterize compounds for use in chemotherapies, with the goal of reducing side effects. This STEM education experiment, designed for grades 6 to 8 and based on Next Generation Science Standards, seeks to demonstrate the life cycle of the model plant Arabidopsis thaliana in microgravity. While the plant grows on the ISS, classrooms on Earth will simultaneously grow their own plants for comparison.